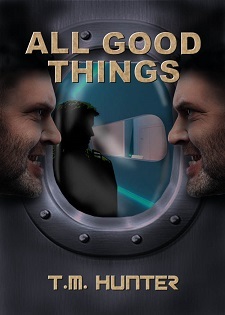 I'm back with another snippet from my new Aston West "series" novel, All Good Things. If you didn't already realize it, the new novel is now fully available over at Amazon (in print and e-book) through the link above. I'll continue posting snippets for the next several weeks. “Aston...” Warm breath eased past my ear. I hadn’t heard that voice in forever, but there was no mistaking it. Hope you enjoyed it! (And if you don't know who Elijah and Lars are, why not pick up a copy of Friends in Deed? Sorry about the spoiler in this snippet about a major plot point from that one, though...) If so, pick up a copy of All Good Things from the link above. And of course, be sure to check out all of the fabulous SFFS snippets through the link at the top of this post.